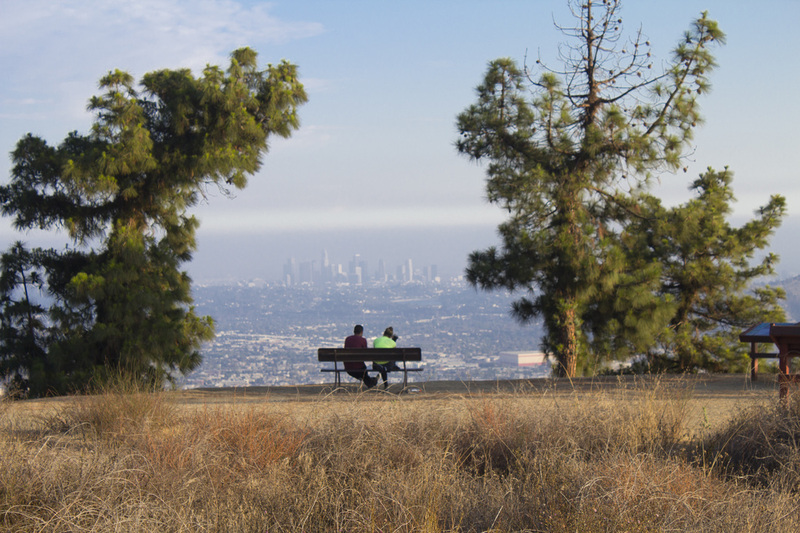 Perhaps one of the toughest hikes in the San Fernando Valley is the one that can be seen from just about anywhere in the Valley. 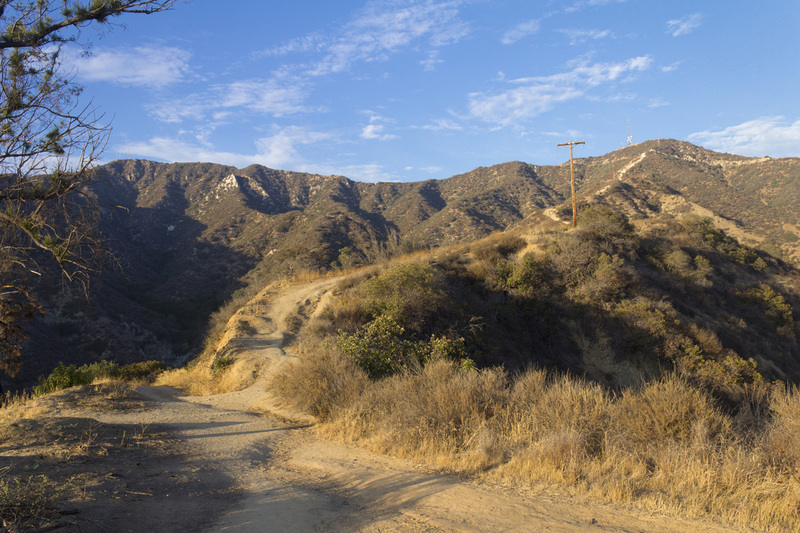 It's distinctive bleached white path climbs in a near perfect straight line to the sky on the border between Burbank and Glendale, taunting any would-be challengers to make the ascent. After years of driving past this gleaming beacon, I took that challenge. After it all, it was so close to home I could just zip up in the afternoon for some quick views of the Valley and be back down in time for dinner. I had no idea what I was getting myself into. Oh, I made it; I had no choice as the sun was setting, but even the relatively easy lower half had me huffing and puffing. The upper firebreak section, however, was down right grueling, akin to stair climbing a downtown skyscraper, albeit one with stunning views. 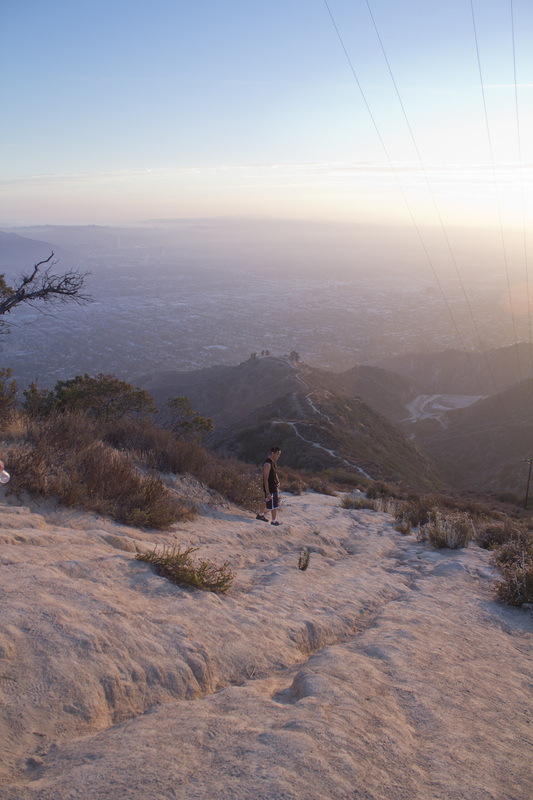 As an avid hiker and runner, I was surprised at the extreme soreness in my glutes the following morning. The hike is divided into two sections, a lower and an upper half separated by a plateau with benches for taking in the views. Most of the hikers I encountered were content to make it to the plateau to watch the sun set before heading back down, but even this lower loop was a strong moderate hike. The upper portion is a very strenuous out-and-back to the summit of Mt. Thom. The descent was even trickier as I had to work at keeping my speed down on the slick, sand covered rock. 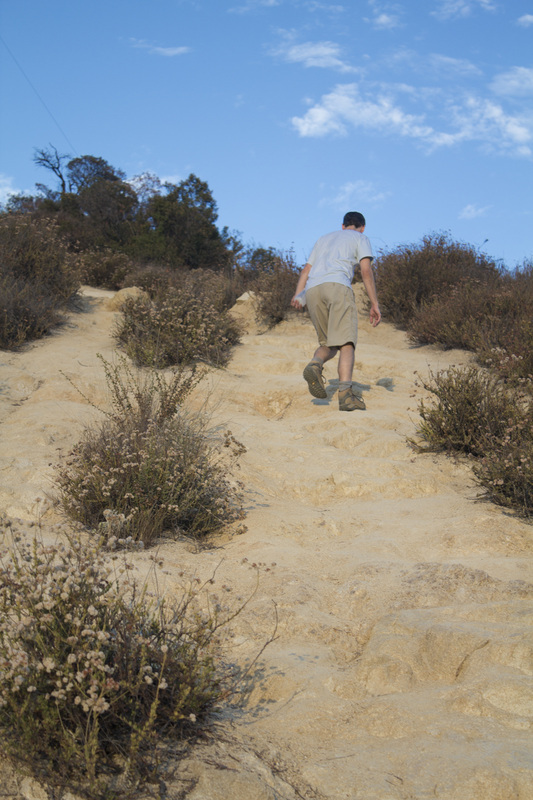 This is not a trail for beginners, and the views aren't any more impressive from the summit than they are from the lower plateau, so if views are what you are after with a good strong hike, the lower loop is probably sufficient. 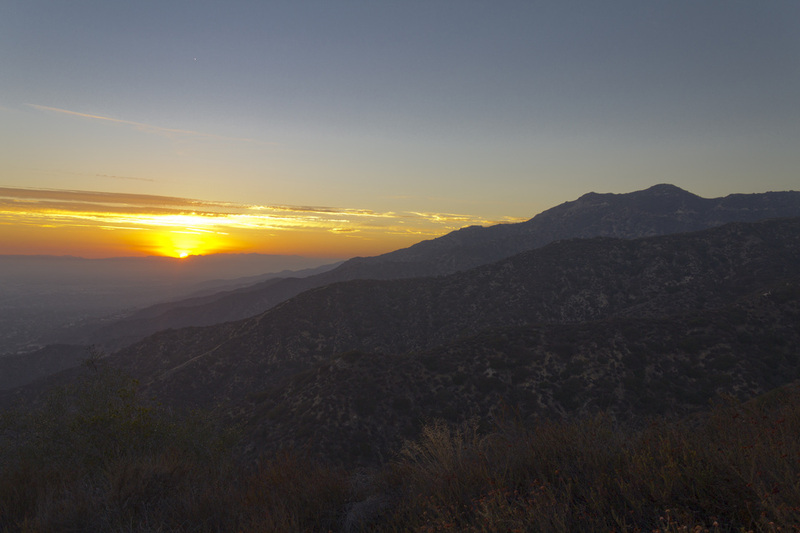 But if you are a fitness nut looking to push your abilities, take the firebreak to the top. The mountain practically dares you. Exit the 134 at San Fernando Road and head north/northwest for .7 mile. Turn right onto Grandview Ave and proceed for 1.3 miles. 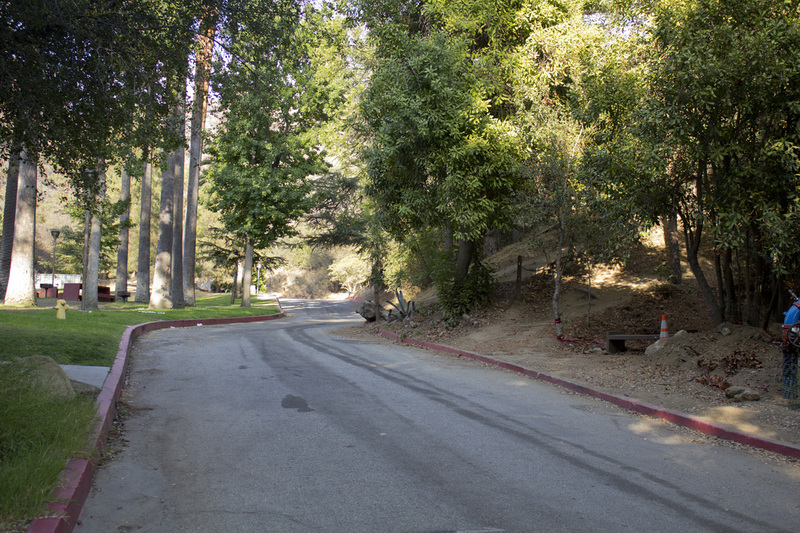 When you reach W Mountain Street, the park entrance will be directly in front of you. Drive to the end of the cul de sac. As you make the left around the cul de sac, turn right onto the side driveway and into the parking area. Trailhead is located in the picnic area behind the library, opposite the fire hydrant. Rest rooms and water are available at the trailhead. Click for printable .pdf map and guide. one moving uphill and to the left for approximately .03 mile. The short segment you were on dead ends with a perpendicular trail. Turn left and continue heading uphill for just under .2 mile. .4 mile to the next junction near the base of the overlook. the overlook by continuing straight and heading for the trees. At this fork, bear right and continue uphill .1 mile. the overlook. On the return trip, make the hairpin turn to the left. the top of Mt. Thom. 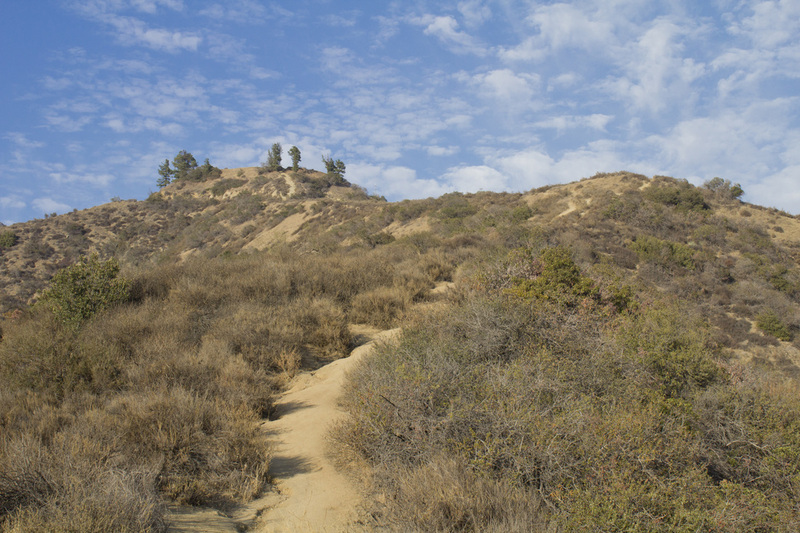 This is the Firebreak Trail. the Las Flores Motorway and end up very far from your car. N Motorways and the access road to the antenna array on Mt. mile to reach the summit of Mt. Thom. Mt. Thom. Do not enter the gated area. Enjoy the views! onto the Las Flores Motorway and continue downhill. continue for another 50 feet. down to the loop trail. next junction coming in on your left. top of the parking area by the forestry monument. and you'll come out near the library. 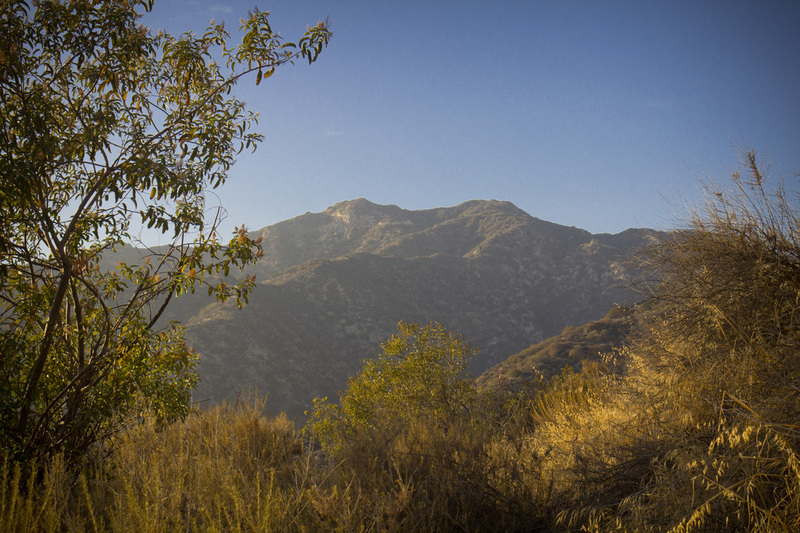 Verdugo Peak from the Mt. Thom Trail. Climbing the Firebreak, It's Steep! Descending the Firebreak. Note the trail leading to the overlook in the background.